subject to subsections (4), (5) and (6), an impairment or combination of impairments that, in accordance with the American Medical Association’s Guides to the Evaluation of Permanent Impairment, 4th edition, 1993, results in 55 per cent or more impairment of the whole person; or subject to subsections (4), (5) and (6), an impairment that, in accordance with the American Medical Association’s Guides to the Evaluation of Permanent Impairment, 4th edition, 1993, results in a class 4 impairment (marked impairment) or class 5 impairment (extreme impairment) due to mental or behavioral disorder. Determining and proving paraplegia or quadriplegia; the amputation or other impairment causing the total and permanent loss of use of an arm or a leg or the total loss of vision in both eyes is easier than those medical conditions/injuries outlined in the rest of the definition. There exists a significant amount of case law (judges and jury decisions) in relation to the definition of catastrophic impairment and it is the subject of significant amount of litigation. Unfortunately for injury victims, the changes to the definition as of June 1, 2016 will likely cause further litigation in relation to catastrophic impairment and determinations. As of June 1, 2016, the definition of catastrophic impairment will be significantly changed. For instance, the first three criteria for longer be as self-evident and moreover, the extent of the impairment in each of the categories must meet specific criteria. What does this mean for injury victims in Ontario. It means another erosion of the rights of injury victims to seek and obtain benefits under their policies of insurance. The significant changes in how catastrophic impairments are determined will result in erosion of benefits to injury victims who have been seriously injured in an automobile collisions in Ontario. When you consider the erosion of benefits under non-catastrophic cases, a further erosion under catastrophic cases results in a significant reduction in benefits that an injury victim can obtain in Ontario as a result of an automobile accident. If you or someone you know has been injured in an automobile accident, should consult a personal injury lawyer as soon as possible. 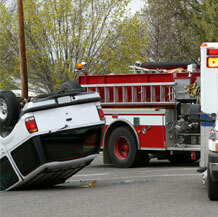 The law in relation to motor vehicle accidents in the complex and there are numerous pitfalls. Injury victims, in my view, need the assistance of an experienced personal injury lawyer to navigate through the insurance claims process. Contact us for a free consultation. Our accident and injury lawyers work on a contingency basis meaning that no fees are charged until the settlement is obtained or a favorable trial judgment is obtained. Call us at 613-315-4 878.